We just had a simple but delicious arugula salad for lunch today. My husband and I love arugula. It is always the main ingredient in our tossed salad. Besides arugula, there were also Jicama, pine nuts, orange, and blueberries in this salad. 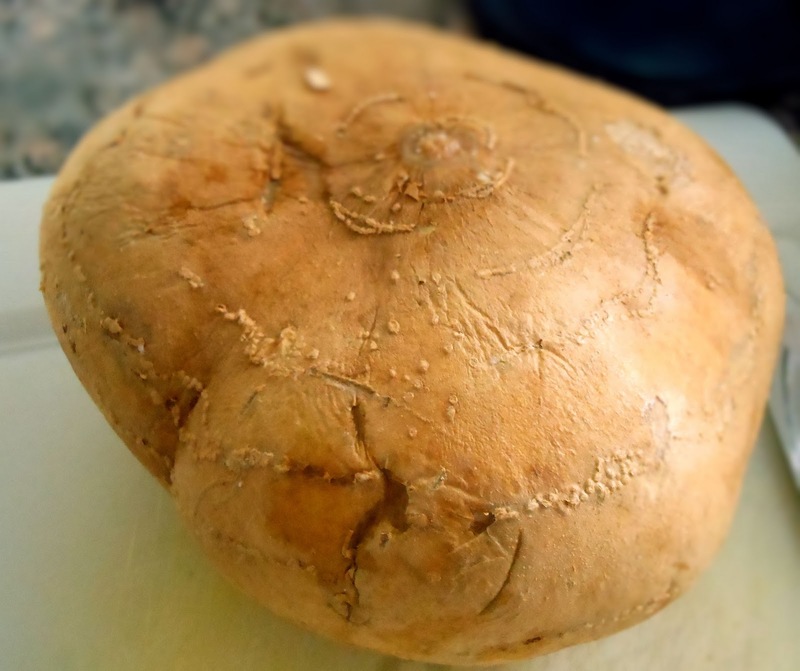 Jicama is a root vegetable. It doesn't look so appealing as it has a very rough skin on the outside. Don't judge by the look. It is a fabulous and tasty root vegetable. I love its sweet and crunchy taste. It goes well with either vegetable or fruit salad. Remember, the skin of the jicama has to be removed before you eat it. 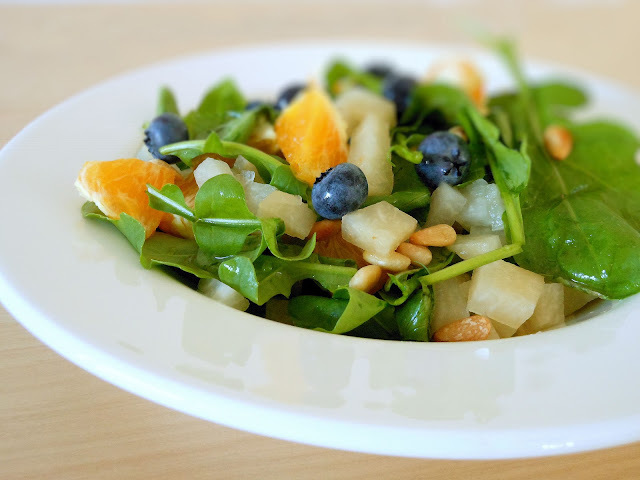 Combine arugula, jicama, orange, blueberries and pine nuts in a salad bowl. Mix honey and orange juice well. Toss the salad with the honey and orange dressing.